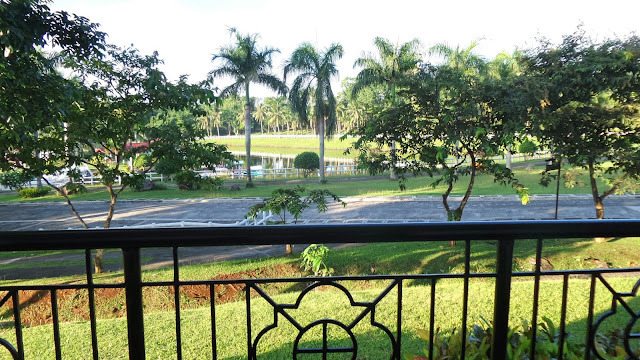 It wasn't like the usual morning I woke up to during our CALABARZON Kulinarya Tour. Above and beyond the fact that I slept without my other half on a bed at Graceland Estates and Country Club, I also slept on a full stomach. Not that I'm complaining, though I made it a practice not to sleep with a heavy tummy, but I guess there is always an exception right? 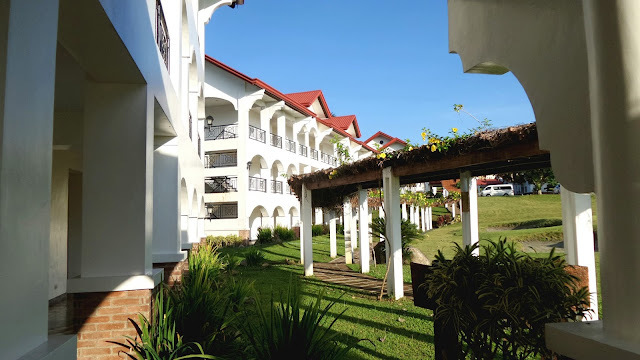 We checked in at this place really late at night and the golf course was pitch black, so I never really figured where exactly were we and with a schedule we had, I felt so exhausted and hugging a soft pillow laid on a clean sheet and a comfy bed was the only thing on my head. So waking up with the view on the above photo wasn't only a surprise, it was a tidbit of bliss. Though this place was man-made, I couldn't just help but be thankful to God for the gift of nature and wonder. We stayed in this apartelle which I can tell as somewhat new with average quality amenities. Aside from the golf course and the man-made lake at the heart of the estate, they also have two swimming pools, pocket gardens, kiddie-park, and a small space to house some deers. First order of the day - breakfast! A CALABARZON caravan wouldn't be complete without an authentic Quezonian breakfast. 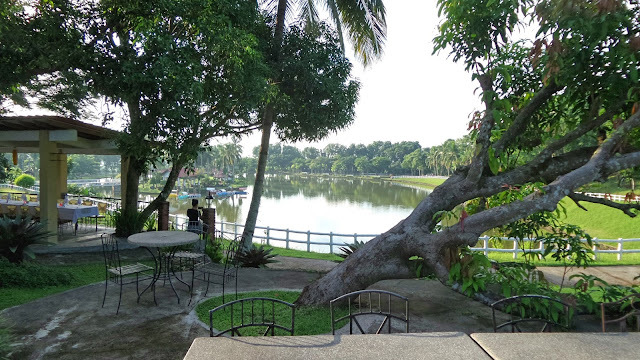 We had a great one at Memphis Garden Café and Grille and our table was set up over-looking a vast lake. Breakfast was just amazing, but if it wasn't too much to ask, breakfast would be hard to match seeing a hunk of a celebrity canoeing or paddling a boat on the lake, would it? 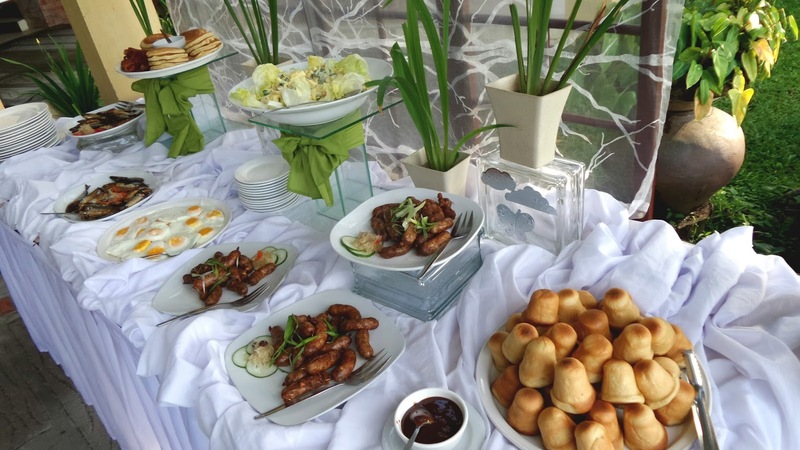 Breakfast of the café can be in buffet style or a la carte. For our group, we were served with Quezon's traditional bread which they call bonete, as it's shaped like a bonnet. A bread that is baked mainly with refined flour and lard, it's basically like a dinner roll but the outer layer was not larded r glistened with oil. We also had fried eggs, fried tawilis and Memphis Salad. 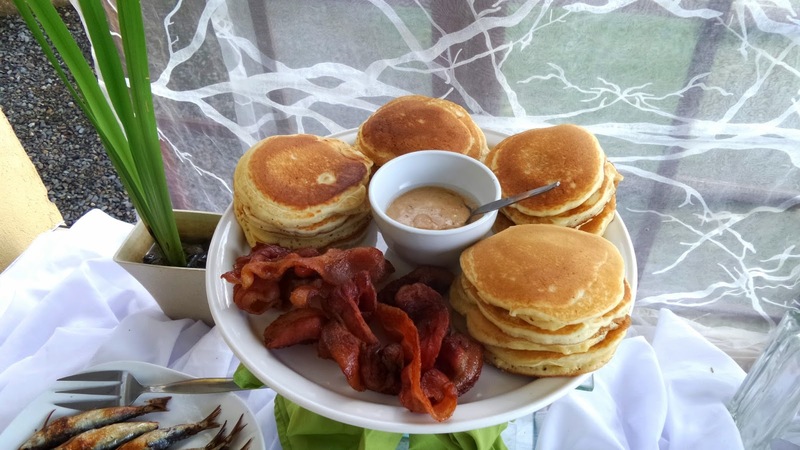 For the younger ones in the group, a platter filled with bacon and pancakes with peanut butter sauce was such a hit. The bacons were gone quickly so I just savored on the tawilis. Of course, I made sure I had a lot of their own version of longanisa, Philippine local sausage. 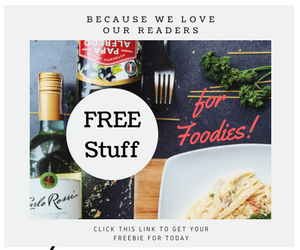 Their version though is more garlicky and has an herby hint, probably oregano. 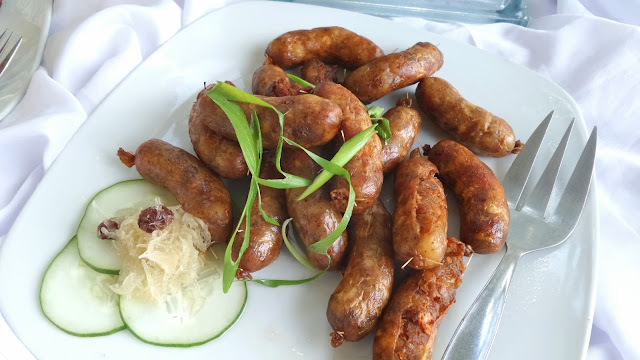 I love that Quezon's version has more lean meat than fat as opposed to Cebu's or Pampanga's which have more fats. After the heavy breakfast, we drove off to Rodillas' Commissary. If you have tried the famous Yema Cake, the first baker who made it famous comes from Tayabas, Quezon. Rodillas started out with a very low investment of P 500 only with the intention of selling affordable brownies and cheesecake. However, the Rodillas couple added the Yema cake to sell, then, lo and behold it got even more famous than the first products. It even gained an instant fame Manila-wide. 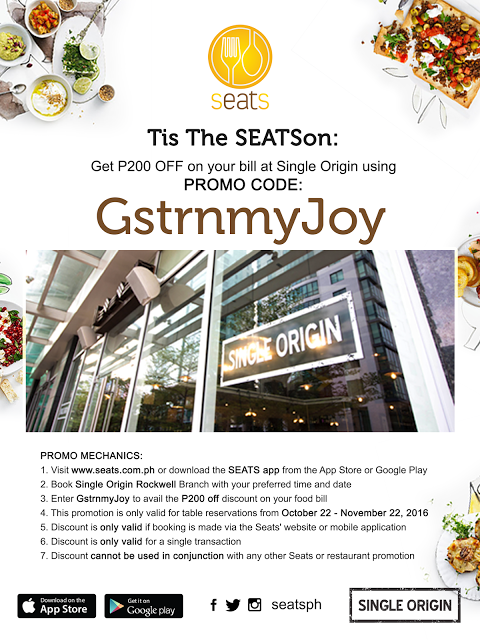 This is because they have opened their line of business to re-sellers all over Luzon. 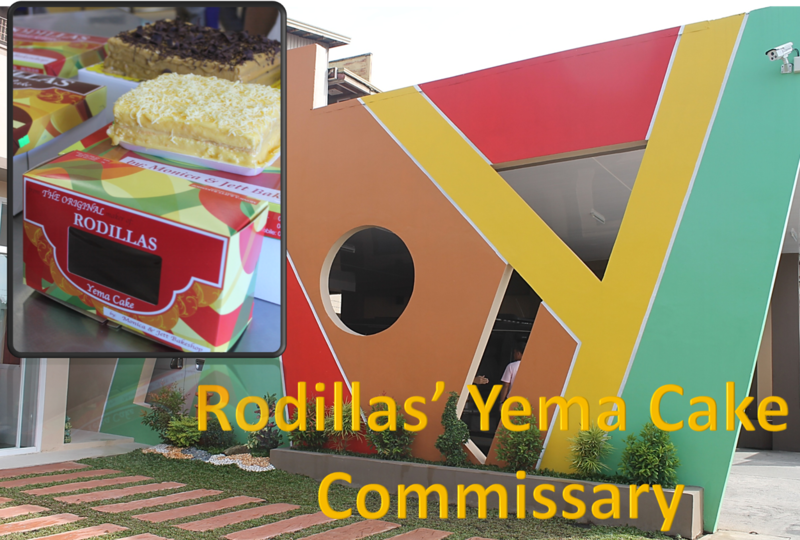 Many other bakers followed suit with their own recipe of the Yema Cake but didn't get much approval from those who have tried Rodillas'. Yema Cake is the heavenly layers of vanilla chiffon cake, caramel and yema frosting. The true characteristic of Rodillas' Yema Cake lies behind the recipe of the Yema Frosting and the lots of cheese layered on top of it. But the secret ingredient of what made this Yema Cake stood the test of time and continuously being raved by sweet-toothed clients was shared to me and the rest of the group during this caravan tour. It was such a blessing to meet the couple behind the famous name, Rodillas', Vincent and Juliet. According to Ms. Angel, Juliet's sister, the secret ingredient of the Yema Cake is the couple's love for each other. Their dedication and passion follow after. 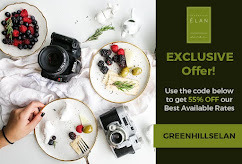 During the drive here, to what I can say as a plant, I saw their original store and small bakery, where they used to make and sell their products. It was quite humbling and inspiring to know have big they have grown, comparing the commissary they have now which is more than 10 times bigger than what they had. 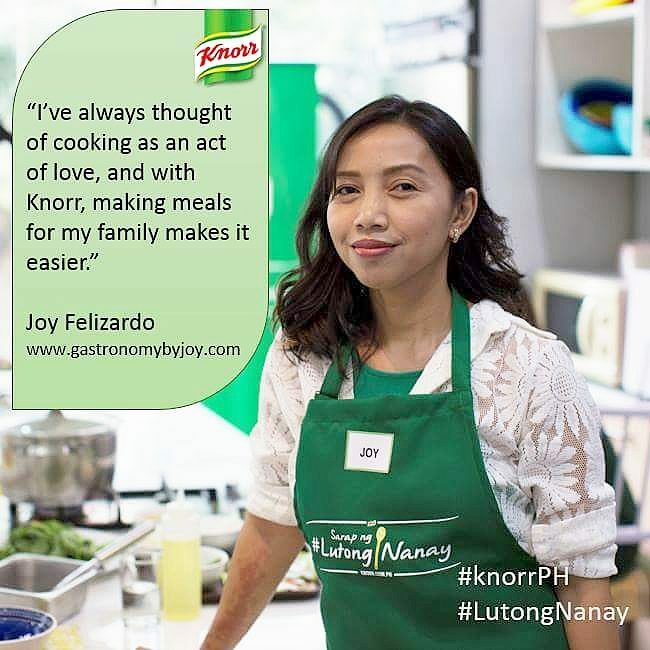 From the two of them baking and manning the whole business, they now have more than 10 people working for them aside from the re-sellers, marketing and earning as well. But regardless of their development as business-owners, they have maintained being humble and kind. The soft-spoken and shy Ms. Juliet was so game to post for our cameras and toured us around the venue where all the magic happened. 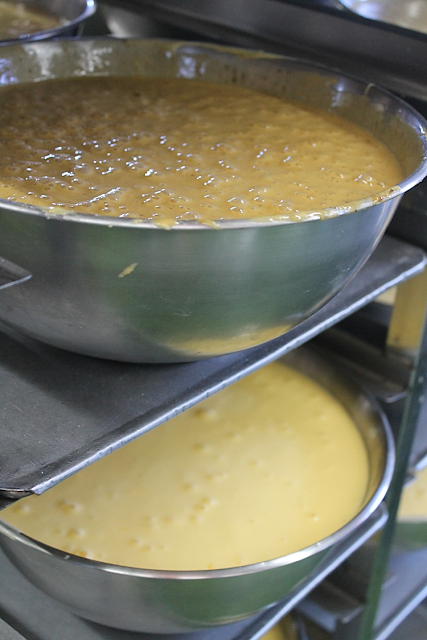 Bowls and bowls of these yema frostings are stacked so properly inside stainless steel racks. The plant is so organized, clean and well-designed, that there is a place for each line of procedure, which is being manned by certain employees. The line starts on a separate building where the eggs are being sorted out and beaten, next is the line which starts at the end of the building and on it is a room where the dry ingredients are measured and packed for easy mixing. The room is secluded and only the couple makes the measurement and mixes the ingredients accordingly. I guess, that's where all the secrets happen (wink). Next on the line are huge mixers, then the ovens and then the spot where all the baked goods are being stored after being baked. On that space the scent of vanilla sponge cake and chocolates are all over and every where you look are gorgeous naked cakes that are airy and spongy. 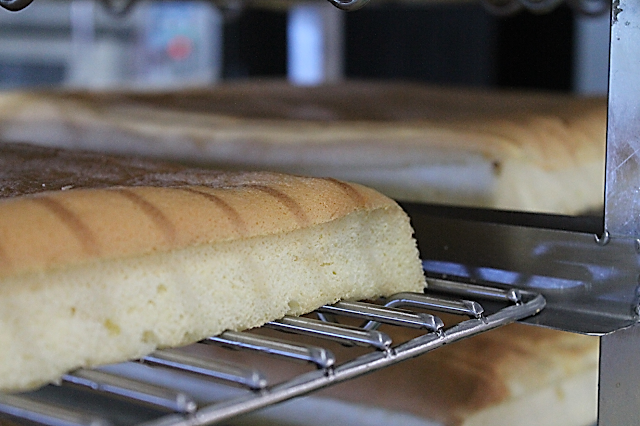 The temperature of the cake is also crucial in the process as it would be taken to the next room where it would be veiled with the silky and smooth syrupy yema. Also known as the Tayabas Basilica, Minor Basilica St.
Roman Catholic basilica in Tayabas, Quezon, under the Roman Catholic Diocese of Lucena. Its titular is Saint Michael the Archangel whose feast is celebrated every September 29. It was then declared as a National Cultural Treasure July 31, 2001 through the Presidential Decree no 374, together with 25 other churches in the country. The basilica which have faced a major renovation have that baroque architecture evident in the facade and the layout of the church. You can see cherubs in stone reliefs playing the lute, trombone, drum and trumpet can be seen in the church patio. Still present as well is the vintage organ at the choir loft. 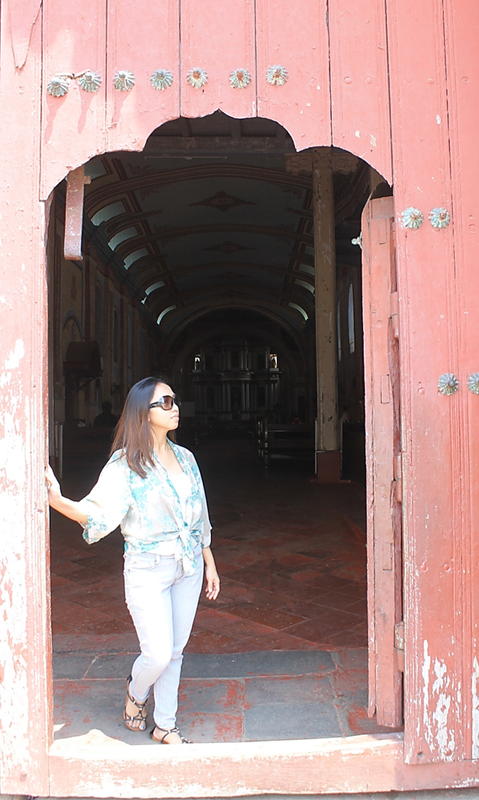 Though we can not really see the whole layout of the church, it is said to resemble the shape of a key, thus the locals refer to it as "Susi ng Tayabas" (Key of Tayabas). People still use the river water to wash their clothes. This 175 year old bridge is just one of the 11 Spanish stone bridges in Tayabas, Quezon. Malagonlong bridge tagged as a National Historic landmark was built in 1840. Like any other stone bridges in Tayabas, Malagonlong Bridge is made of adobe, egg white, and molasses. According to hearsays, back in the old days whenever someone would pass by they had to pay with a piece of specific rock to get through. The old bridge was preserved and only tricycles or people could pass. Parallel to this old bridge is the new bridge, which connects Barangay Mateuna of Tayabas and Barangay Lakawan of Mauban. Below these two bridges runs a shallow river where visitors can bathe and hangout. To get to the river, just look out for the cemented stairs going down from the new bridge. 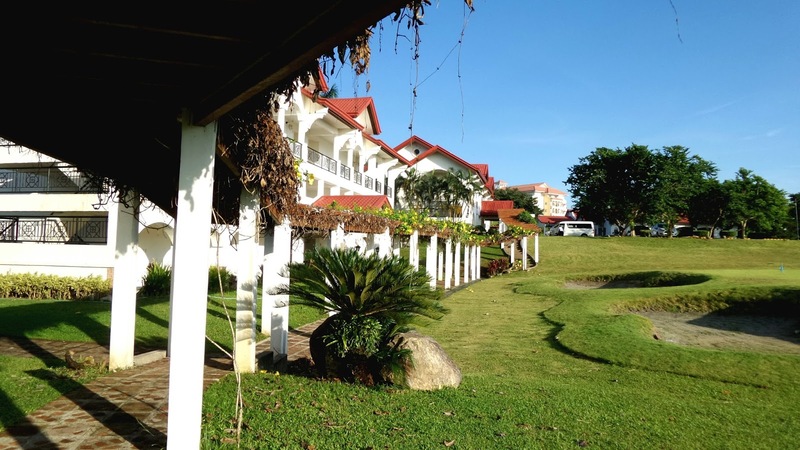 Northeast of Tayabas is the municipality of Sariaya. 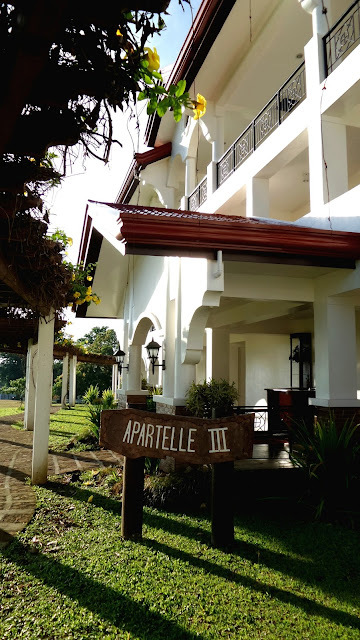 I remember the last Holy Friday we went on a long drive from Manila to Quezon for a family day tour, after staying at a resort nearby, we went to the heritage town of Sariaya to see the old houses. In one of the blog I read about going around Southern Tagalog, Viaje del Sol. With that we DIY'ed a Viaje del Sol. 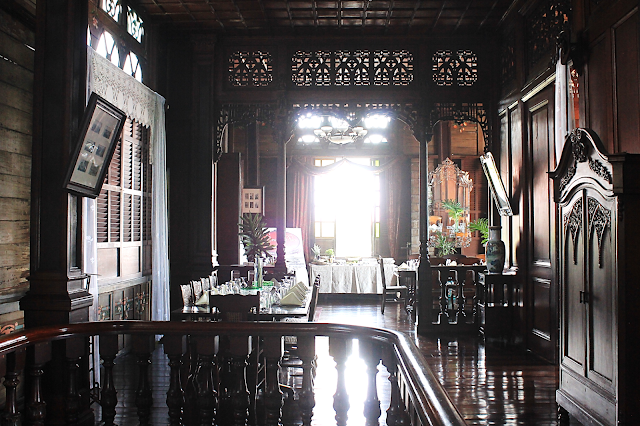 On that tour, our last stop was at the huge Bahay na Bato also known as Don Catalino Rodriguez Mansion. It's one of the three houses in Sariaya, Quezon that was declared as heritage houses by the National Historical Institute, now reffered to as the National Hisorical Commission of the Phillipines (NHCP). 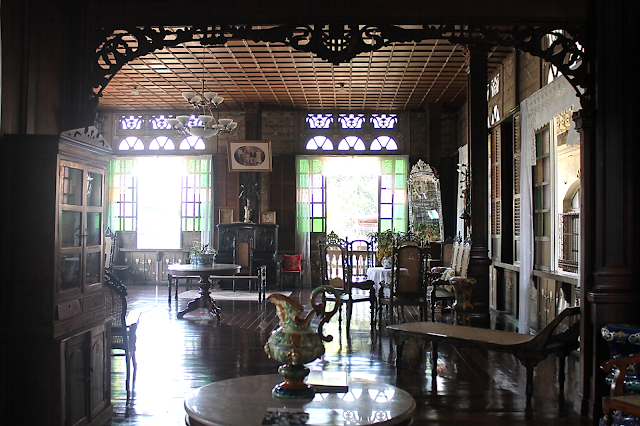 'Bahay na bato' are 19th century stone-and-wall houses, a two-storey house where the ground floor was enclosed with heavy stone walls, and living quarters on the upper floor. 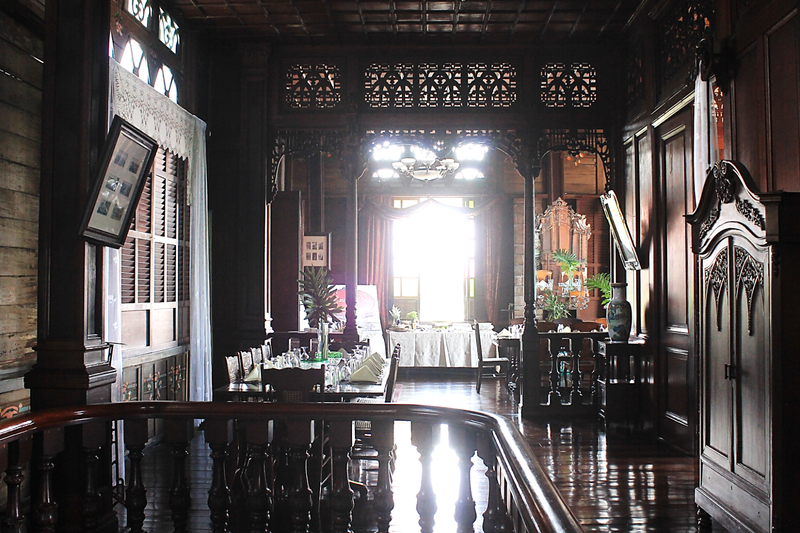 Typical designs were practiced as this trended due to earthquakes and storms, during Philippine colonial times. Such designs for houses belonging to rich people are mainly of bahay na bato differentiating from "bahay kubo." With the growing complexity of life in the 19th century, space in the bahay na bato was allocated for specific purposes, as our tour guide, Tina de Cal would explain. The entrance was through the "zaguan", a hall on the ground floor or in the case of this mansion, a grand staircase called escalera. Ascending it, the visitor waited to be received at the caida or antesala, a large room where informal entertainment took place. Now, the hall on one side was made into a gallery, where friends oc the house owners can display their art works. Also, of the owners' memorabilia is kept. Every nook and cranny of this house enunciates art. 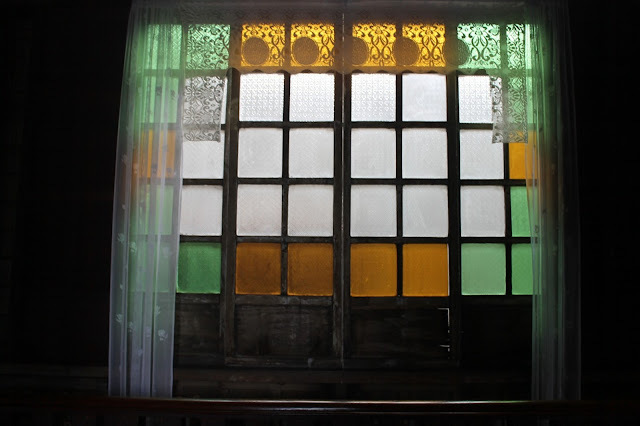 The walls were painted with vines, flowers and foliage, while the windows reflect colorful lights from the stained glasses. The sala, often the largest room in the house was reserved for special functions such as parties. At the other side of the second floor is the comedor (dining room) and beyond that is the kusina (kitchen) and banguera. Beside the wooden and inricately carved stairwell are the bedrooms or cuartos. What caught my interest as well are the upper parts of the room partitions, there are ornate wooden fretworks which they call the calados, which allowed air to circulate. To elevate our fascinations some more, we were invited to try on some Filipiniana clothes or ternos. Define blast from the past on this photos. 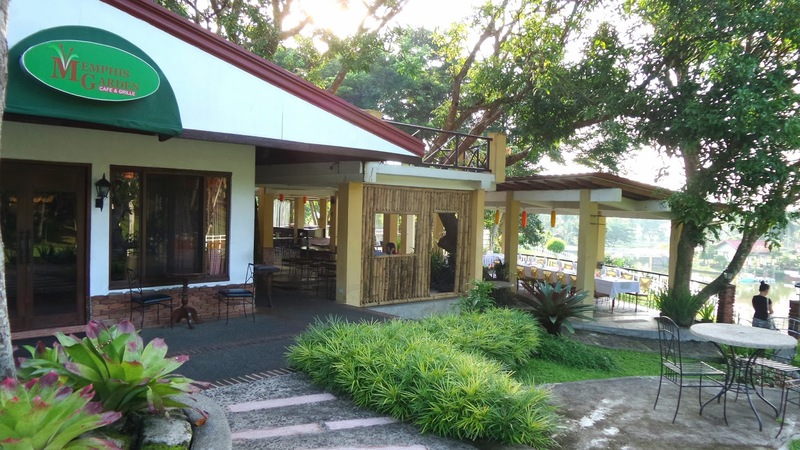 A grandiose lunch awaited for us at Villa Sariaya. Na-B.I. na Ako! Na-Balai Ilocos ka na ba?